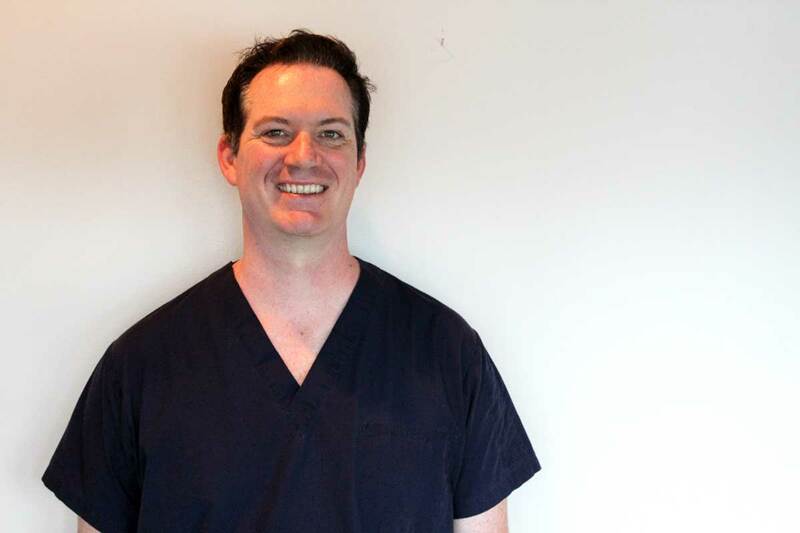 In 2008, Jim graduated from the International Academy of Massage and became an RMT. Jim prides himself on his thorough assessments while providing top quality care and attention to his clients. Jim’s skills are with Myofascial release and fascial restructuring having completed all courses as a (MIPA) Myofascial Integrative and Postural Alignment practitioner, Jim provides effective work with athletes and people suffering from chronic pain he is always eager to learn something new to better the experience he can provide for his clients. Before becoming an RMT Jim worked for various youth group homes for 10 years, an experience that provided exceptional skills when working with teens and young athletes. Dawn graduated in 2014 from Everest college and has been a welcome addition. Dawn has a passion for knowledge and treatments to help people restore and maintain optimum health. Dawn is K-Tape certified she can effectively tape for the foot, toes, ankle, wrist, fingers, thumb, elbow and knee as well as pregnancy. Wrapping techniques for the ankle, knee, thigh and groin. K taping is beneficial for everything from inflammation, postural awareness, proprioception, to pregnancy as well as sports strengthening. Dawn has strong skills dealing with TMJ, Migraine/headaches as well as very effective techniques for golfers or tennis players suffering from tendonitis or hand and wrist issues. Dawn also has experience with muscle energy, priding herself on her assessment skills while using muscle energy. Alicia graduated from the International Academy of Massage in 2017. She worked as a receptionist at the clinic while studying to complete her board exams to become a Registered Massage Therapist and participated regularly in professional development and training with her future co-workers. Raised in Orleans, she is fully bilingual. Alicia has a passion for health and client care, always being eager to please. Having studied in previous health programs, she finally found her calling in massage therapy. What attracted her to this career was the idea of being able to work hands on and stay active all while fulfilling her desire to help people with pain relief and stress management. Alicia has a passion for martial arts; she has been practicing traditional Japanese jiu-jitsu since 2007 and is an assistant instructor. Having seen and been through injuries herself, she developed a desire to treat injuries and chronic pain. In school, she realized her strengths while treating are with her deep palpation skills and attention to fascia. In 2003, Ranguel Graduated from The International Academy of Massage (with Honours), and became an RMT. Ranguel uses the techniques of Acupressure, which involves the concepts of Acupuncture but without needling. Ranguel knows how important it is to get his patients involved with their own recovery therefore he has a vast knowledge of remedial exercises and stretches that he encourages his patients to do, speeding up their recovery time from injury. 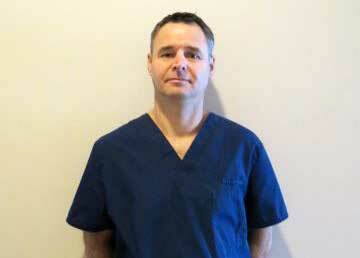 Ranguel’s strengths are with his deep tissue treatments and love of working with sports related and overuse injuries. Ranguel is originally from Bulgaria and is an avid soccer player. Before coming to Canada Ranguel was a Mechanical Engineer and is fully bilingual in Bulgarian. In 2001, Julie graduated from The International Academy of Massage becoming an RMT. Before completing her massage diploma, Julie graduated from The University of Ottawa receiving a degree in Human Kinetics in 1998. Julie also received over 13 years of experience in management in her previous career. 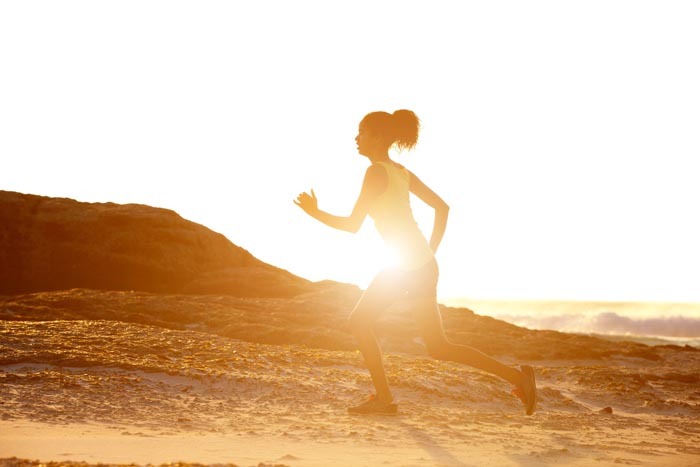 Julie has worked along with triathletes and competitive runners. Julie previously worked in a Physiotherapy Clinic. In 2003, after less than two years of practice, Julie opened The Massage and Treatment Clinic with Amanda-Lyn Smith. Julie prides herself on her deep tissue techniques, work with Athletes, along with a love of giving Pregnancy Massage and working with young mothers. Julie has extensive experience with Motor Vehicle Accident victims and individuals suffering from chronic pain. 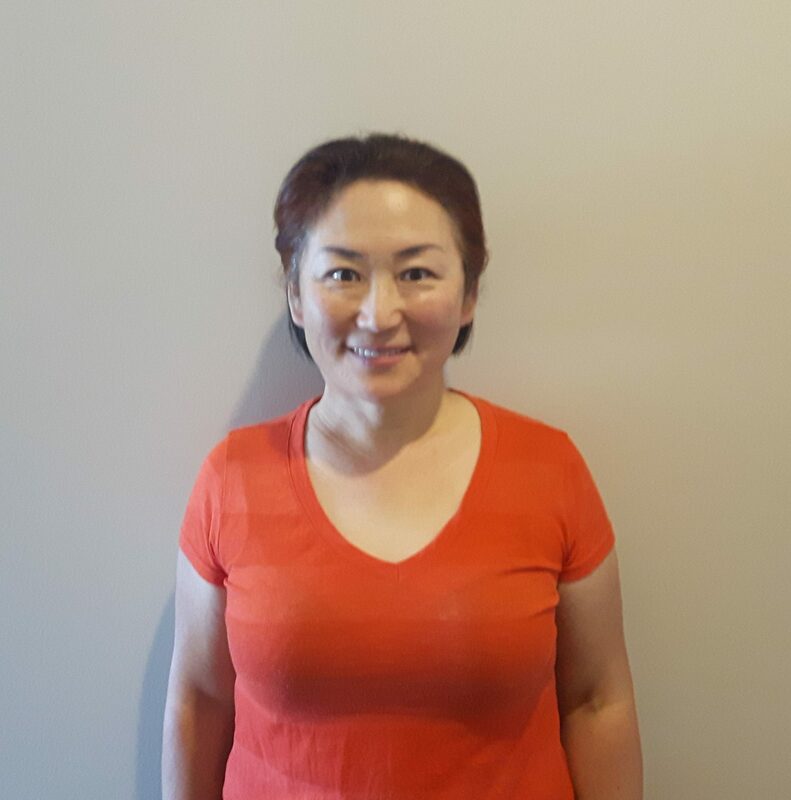 Julie uses a traditional massage approach accompanying the use of modalities such as LASER and ultrasound to provide effective results, Julie has skills in acupressure and can provide Hot Stone Treatments. In 2007 Johann graduated from CDI college in Massage Therapy, becoming an RMT. 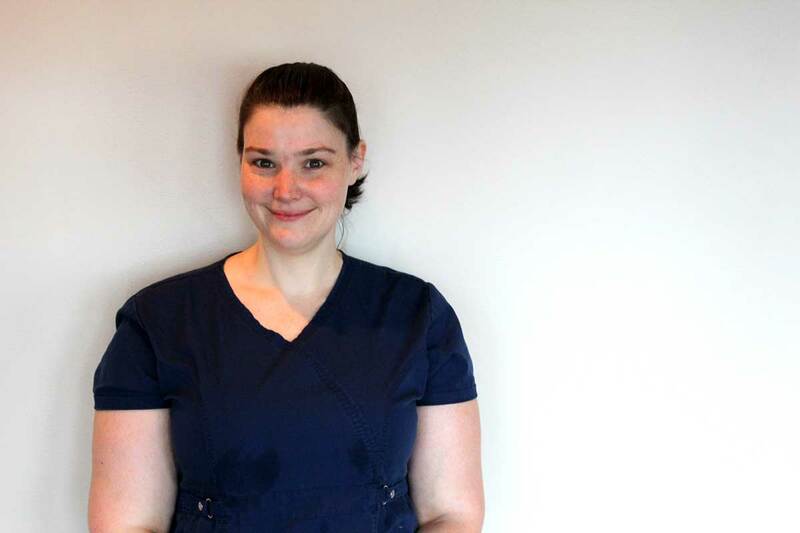 Johann has completed the Vodder course in Lymphatic Drainage, becoming a lymphatic drainage practitioner experienced working with post surgery, cancer, heart conditions and diabetes. Johann also works within a physiotherapy clinic. Johann prides himself on his goals to help people with pain management and regaining health and mobility after illness or injury. Johann is very health and fitness orientated as he used to be an instructor for health and fitness in the Austrian Military and loves to provide tips to maintain a healthy lifestyle, Johann is a triathlete and loves to work on fellow runners. Johann is fully Bilingual in German and English. 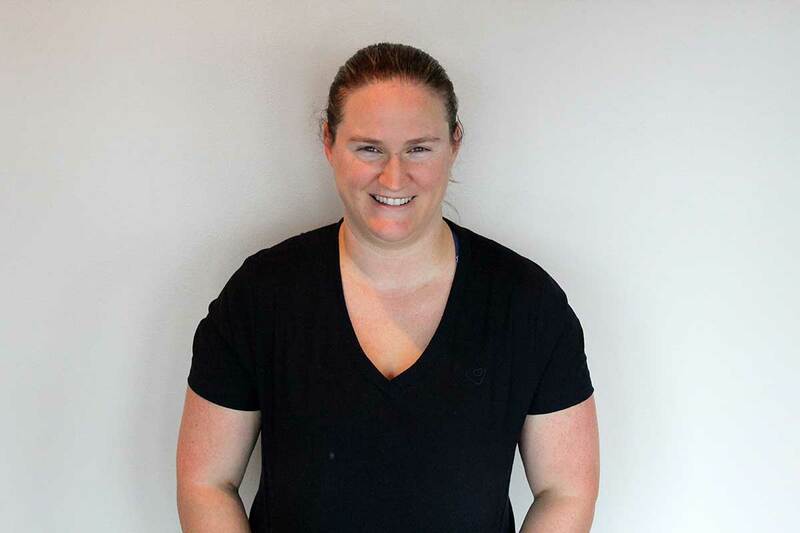 In 2000, Amanda graduated from The Canadian College of Massage and Hydrotherapy in Newmarket Ontario becoming an RMT. After less than three years of practice and at the age of 22, Amanda opened The Massage and Treatment Clinic in 2003 with Julie Tessier Woodcock. Amanda prides herself on her deep tissue techniques, and extensive work with Motor Vehicle Accident victims, TMJ dysfunction, concussions, Pelvic Pain, migraine/headache issues as well as helping get athletes back to top performance, providing effective pain relief associated with chronic conditions. Amanda’s techniques involve a Myofascial Approach accompanied with traditional massage and a love for effectively using LASER on arthritis and acute inflamed/swollen conditions. Amanda enjoys getting right to the point of things with a direct efficient approach. In 2016 Amanda was nominated as a top four finalist for health professional of the year by the Business Excellence Awards and in 2017 won the award. Susie is a Registered Massage Therapist, a graduate of international academy of health education. With a passion for helping people on their healing journey, she strongly believes in the long-term health benefits of massage treatments that provide a natural healing without any of the side effects of pills. With Susie’s specialty being deep tissue techniques such as myofascial release, trigger point release and meridian (acupressure) massage, she puts her focus in postural issues, chronic conditions and specific injuries including sciatica, strains, tendinitis, lower back or neck spasms and headaches. Susie is taking an acupuncture course in the fall to do her best in helping people live a pain free life. The practice of massage therapy is the assessment of the soft tissue, joints of the body and the treatment and prevention of physical dysfunction and pain of the soft tissues and joints by manipulation to develop, maintain, rehabilitate or augment physical function or relieve pain. Soft tissues include muscles, tendons, ligaments, membranes, skin and connective tissue. Massage therapy has been proven to relieve many conditions. In a series of studies including about 500 men, women, and children with depression or stress, researchers measured the stress hormone cortisol in participants before and immediately after massage therapy and found that the therapy lowered levels by up to 53% (Cortisol can drive up blood pressure and blood sugar levels and suppress the immune system). Massage also increased serotonin and dopamine, neurotransmitters that help reduce depression. Below is a list of treatment techniques provided by our Registered Massage Therapists. Click on the box to read more about each type of treatment and how it might help you. Therapeutic ultrasound, Cold LASER and IFC are pain-free modalities for the treatment of soft tissue injury, joint dysfunction, and Acute or Chronic pain or swelling. 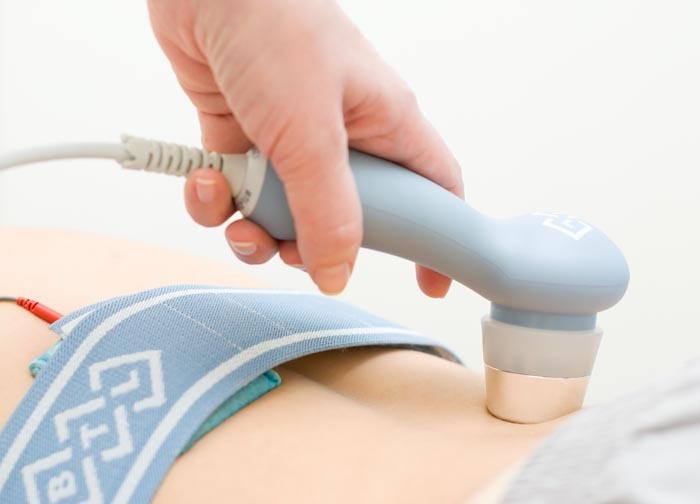 Therapeutic Ultrasound: The use of sound waves (creating ultrasonic vibrations) to penetrate the soft tissue (ligaments/tendons/muscle) producing mechanical energy. Not recommended for those with pins, pacemakers or any hardware. IFC (Interferential Current): The use of a small electrical current used to stimulate soft tissue, helping tone and reduce pain. Benefits include: Increase in joint range of motion, decreased inflammation, decreased muscle spasm, decreased pain, decreased adhesions, increased tissue healing and repair, and decreased edema (swelling). Pregnancy Massage aims to lessen any musculoskeletal pain that the mother is experiencing as her body undergoes tremendous change. Pregnancy Pillows are provided and can be used up to term. 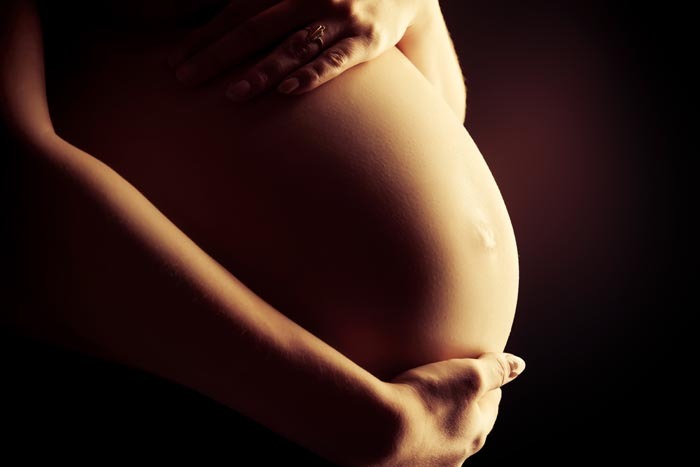 The massage can focus on any area of discomfort, such as pains like sciatica, goals of treatment can be to decrease muscle tension, spasm, swelling and promote relaxation encouraging a healthy pregnancy. After the treatment at home, pregnancy specific stretches and exercises are given to prolong the beneficial results of massage to the mother. Massage is one of the most effective ways to reduce symptoms of digestive upset, teething, and growing pains in infants as well as in growing children it is very effective for kids who suffer from sports injuries, growing pains, menstrual pain, headaches, anxiety, concussions and much more. All of our practitioners are skilled with working with children of all ages. This introduces a safe healthy touch, allowing kids to be more confident with their bodies and self awareness, parents are always welcome to stay in the room if they prefer. A technique involving the application of ischemic compression to a hyperirritable spot found in a band of tight muscle or fascia commonly felt as a “knot”. Trigger points can affect strength and length of the muscle, limiting flexibility. Tension headaches are an example of what trigger points can cause. By relieving these points it can eliminate and prevent the headaches. A technique using special Kineseo Tape increasing stability and support to muscles and joints without restricting the body’s range of motion and prolong the benefits of manual therapy. Taping can be applied to reduce pain and inflammation, optimize performance, prevent injury and promote good circulation and healing. Dawn, Julie and Dr. Joy can provide this service, this is a premium service with an additional $5 fee. Highly successful and popular technique, especially with people with Chronic pain and noticing restrictions in their muscles that are affecting their muscles’ ability to stretch and strengthen. “Myo” mean muscle “fascia”is the connective tissue lying over top of the muscle, when under stress the two can stick together which causes postural tension, stiffness, muscle pain and reduced muscle strength. Myofascial Restrictions develop in the body as a result of poor posture, dehydration, stress, trauma or injury that has caused scarring. This technique slowly yet effectively releases adhesions between muscle and fascia by using firm pressure with little or no lotion/oil. The result is reduced pain, tension and an increase in the muscles’ ability to stretch and strengthen. A Pre-event massage can heat up the muscles, reduce excess muscle tension and create psychological readiness. Post-event massage can help lessen the effects of physical trauma by enhancing blood flow to the muscles which in turn removes toxins such as lactic acid and delivers oxygen and nutrients helping speed the recovery time. Preventative maintenance massage if scheduled regularly during training relaxes and prepares the muscles for hard effort, the massage will help repair small tears (microtraumas) which occur after strenuous activity and heal fascial restrictions and trigger points that cause muscle fatigue, spasm, and soreness leading to an eventual injury. This technique is a combination of static passive stretching and isometric stretching. This technique is also referred to as the Contract-Relax Method. RMT’s work with you to actively resist and relax so they will passively stretch the muscle, creating an increase in Range of Motion and mobility. The Craniosacral system is made up of the cranium (skull), the spinal cord, and the sacrum (tailbone), and the membrane that envelops the brain and the spinal cord (the dura). This system influences the development and functioning of the brain and spinal cord, an imbalance or restriction in it could cause various sensory, motor or neurological disabilities. This very gentle osteopathic technique involving the gentle holds of the cranium, the dural membrane, as well as the deep layers of myofascial connective tissue of the body where restrictions are held. The therapist uses a very light touch which allows the body to self-correct and restore balance thereby relieving pain and increasing mobility. It is a very effective treatment for sinusitis, headaches/migraines as well as long-standing pain syndromes, fibromyalgia, motor coordination impairments, traumatic brain and spinal cord injuries, concussions, TMJ, post-traumatic stress disorder, chronic fatigue, immune disorders. Book with Amanda for this Treatment. A specific release of the Tempomandibular joint (Jaw) and symptoms associated with its dysfunction.. Treatment involves, manual techniques to the head and face, interoral release focusing on the soft tissue affecting the area. If you ever experience a sore jaw, chronic headaches, sinus pressure, grinding teeth, difficulty with speech and swollowing this treatment maybe needed, a 45 minute treatment is recommended for your first visit. Chiropractic or Acupuncture may also be recommended. When booking notify reception of this request. A type of massage that involves the use of smooth, heated stones that the massage therapist places on your body. The therapist also uses the stones in the palms of his or her hands to massage the body. 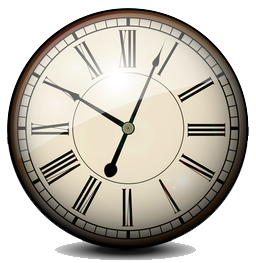 This is a 90 minute Treatment…Book with Julie Tessier-Woodcock RMT. The penetrating heat and weight of the stones warm and relax tense muscles so the therapist can work deeper, more quickly. made of basalt, the iron-rich stones retain heat. River rocks are typically used because they have become smooth over time from the river’s current. To prepare for the treatment, the therapist heats the stones in water, using an electric heater, until they are within a precise temperature range (typically between 120 and 130 degrees Fahrenheit). He or she places the stones on specific points on the back. While the points may vary depending on areas of muscle tension and the client’s health history, they are generally placed along both sides of the spine, in the palms of the hand, on the legs. or between the toes. The use of hot stones for healing dates back to when Native Americans warmed stones by fire to ease muscle aches and pains. Log in to our online booking system to check out our full schedule. You can choose your practitioner and the time slot that works best for you.